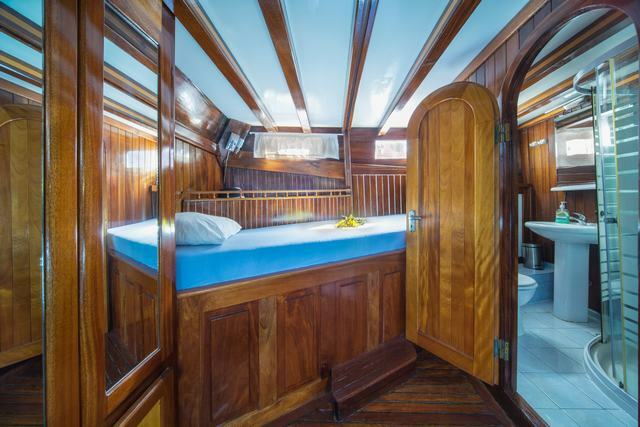 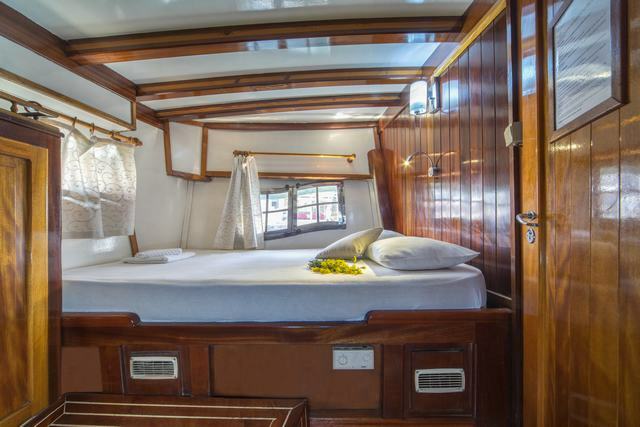 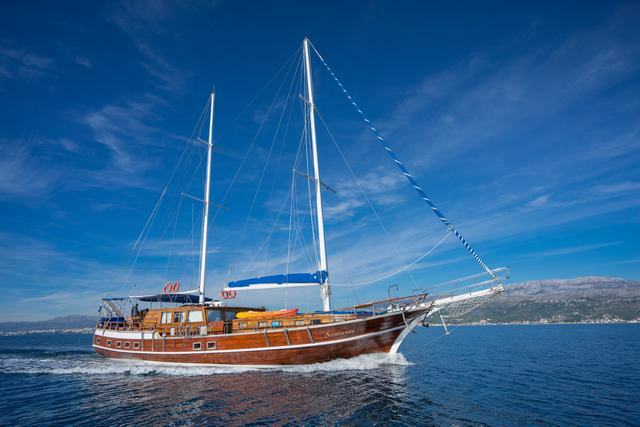 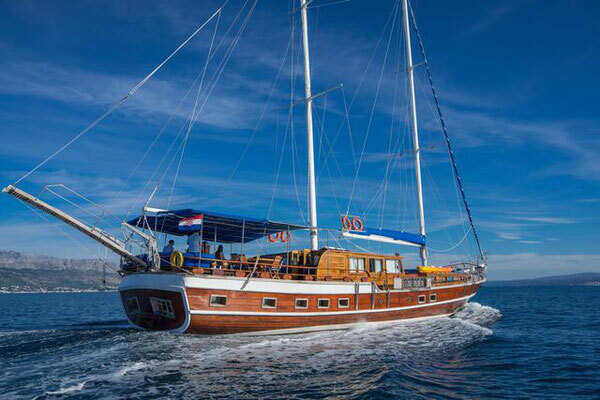 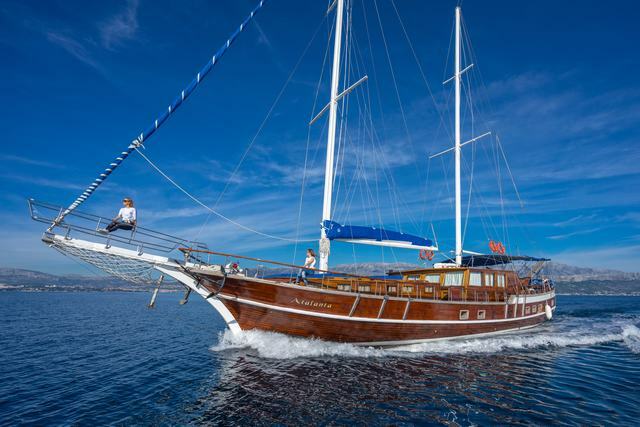 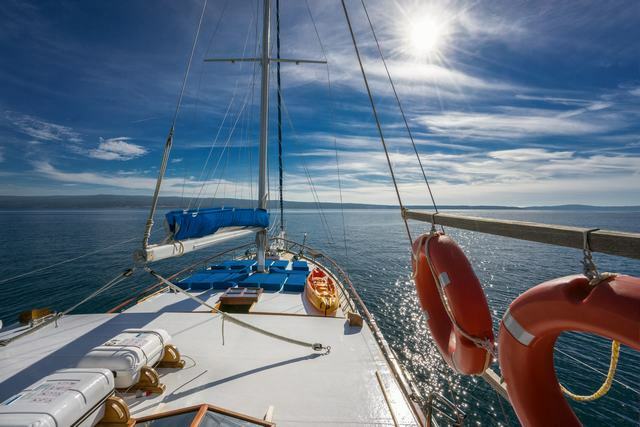 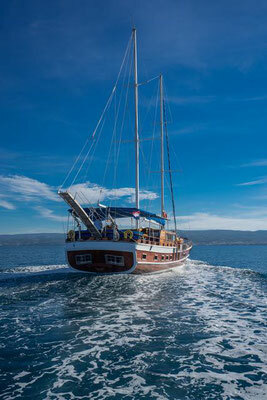 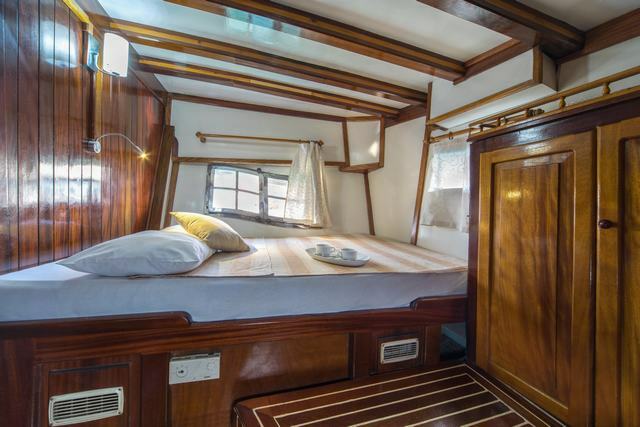 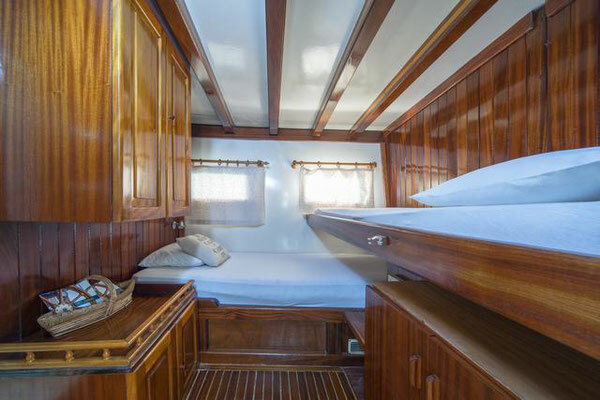 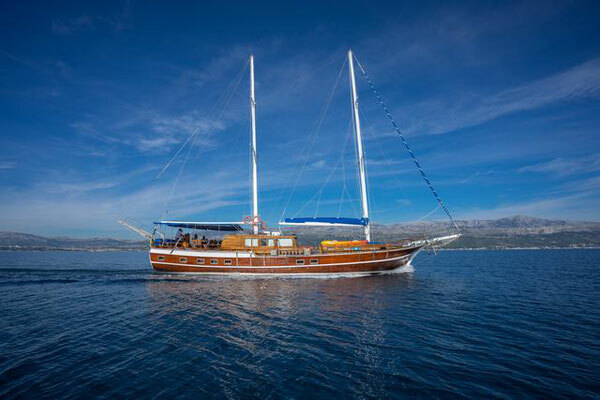 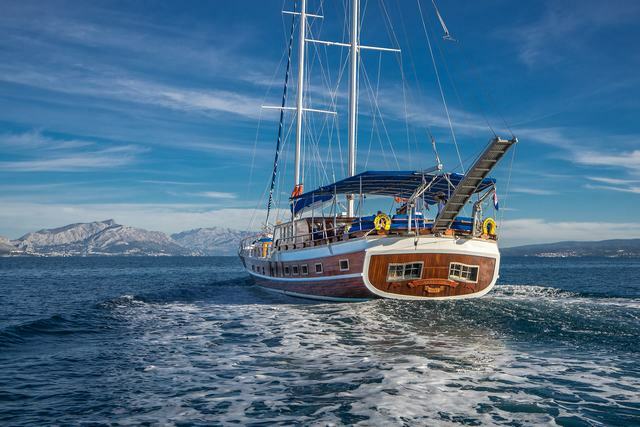 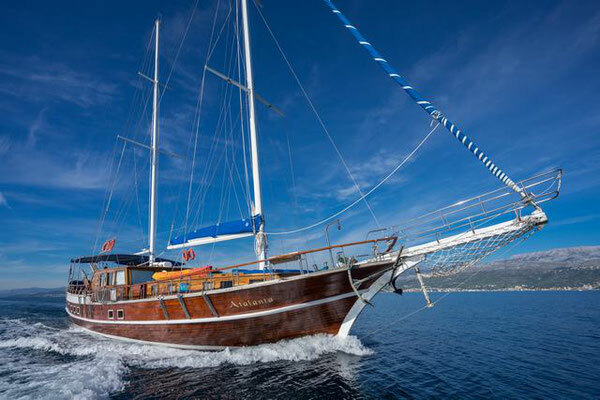 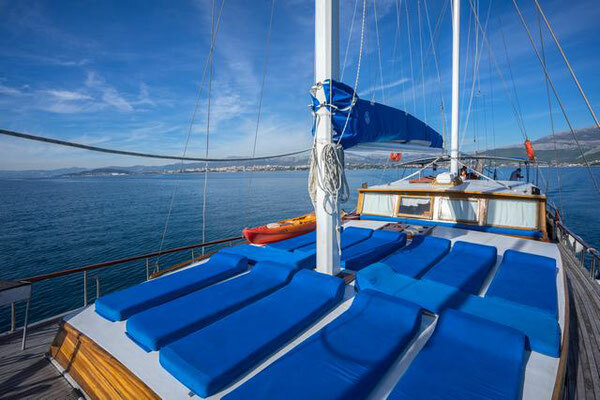 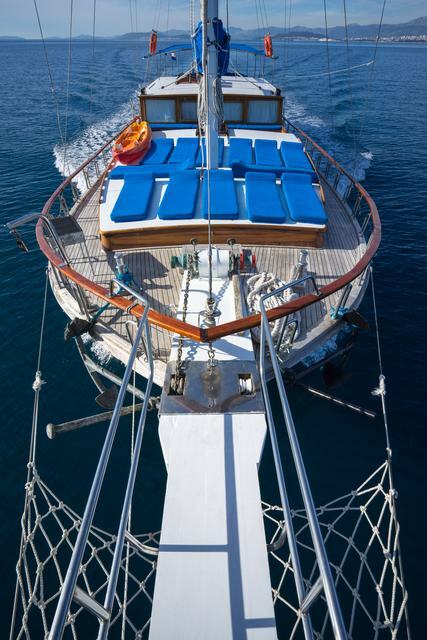 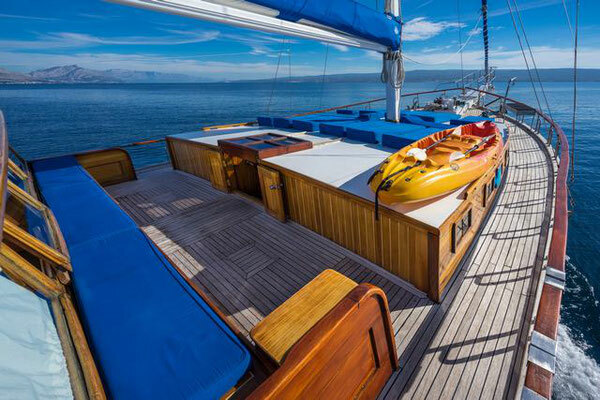 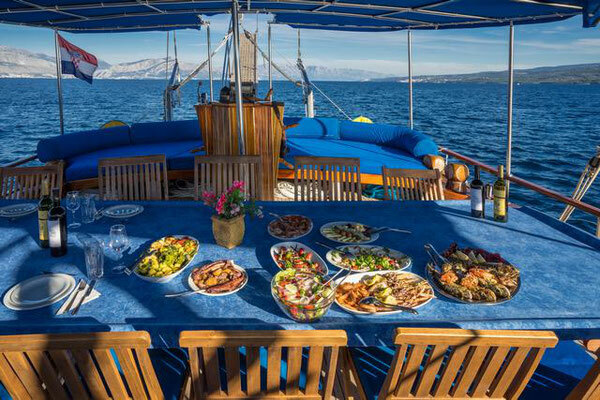 If you have a large family or want to go on vacation with lots of friends, we recommend gullet Atalanta. 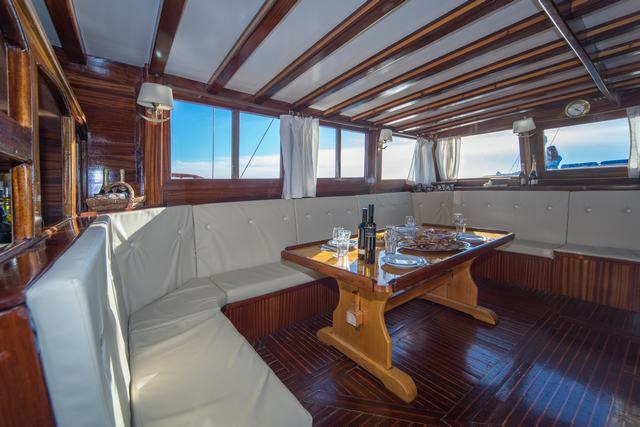 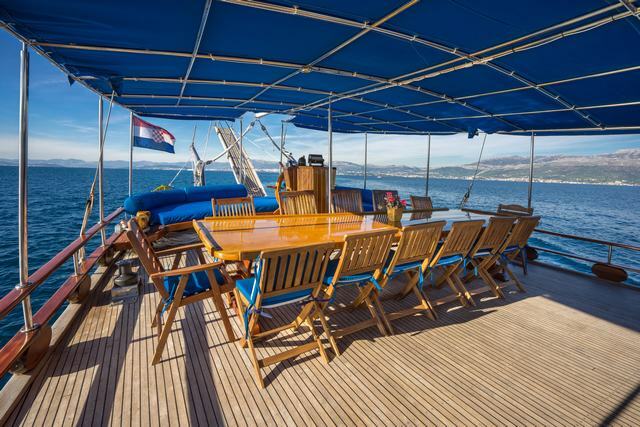 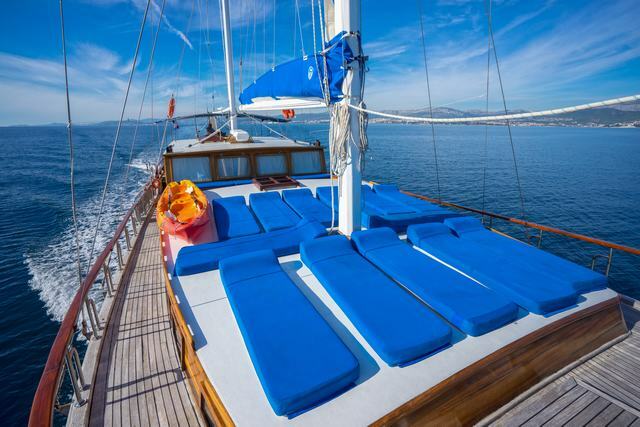 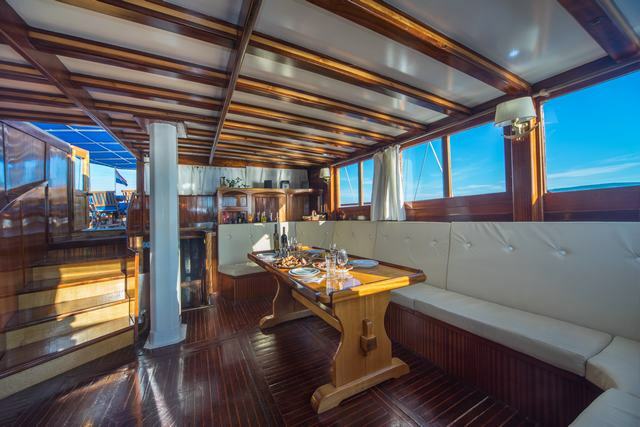 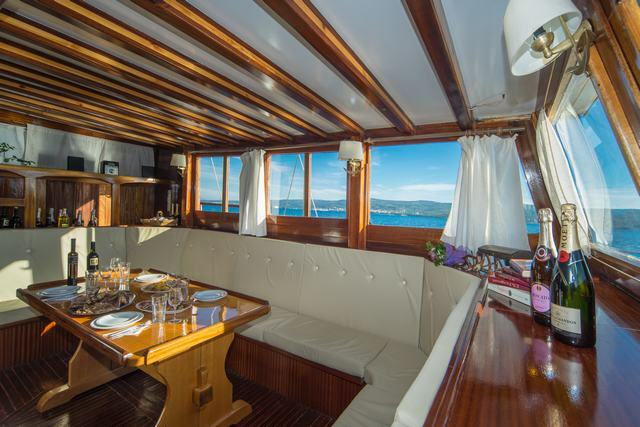 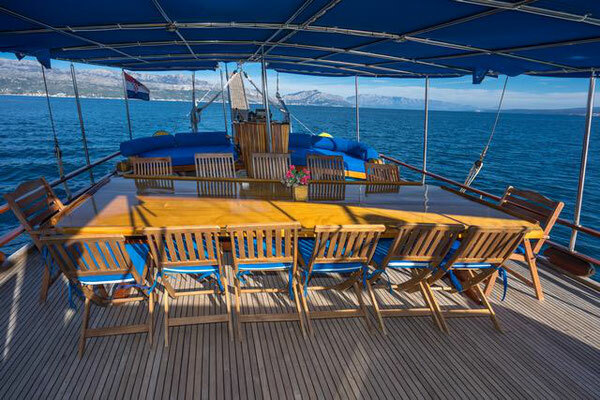 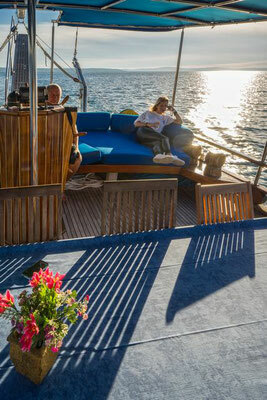 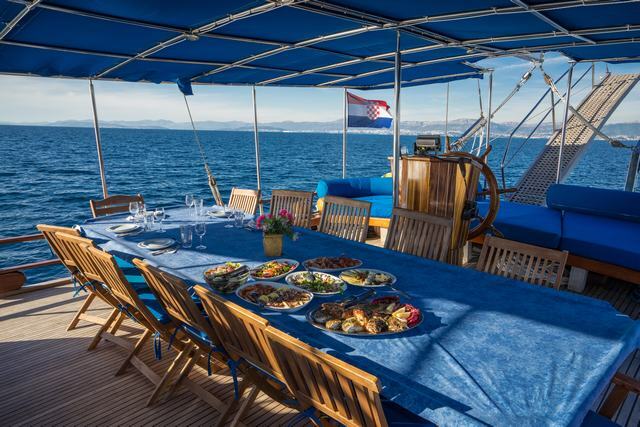 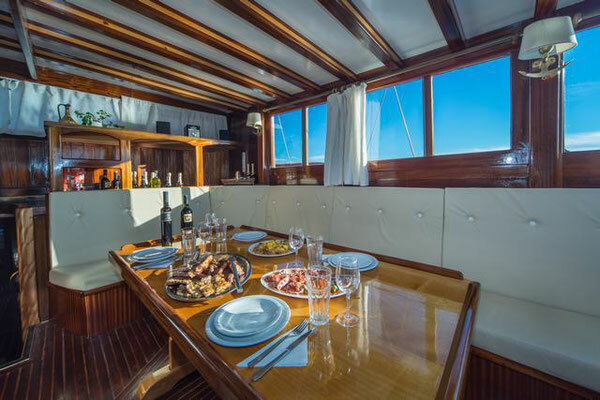 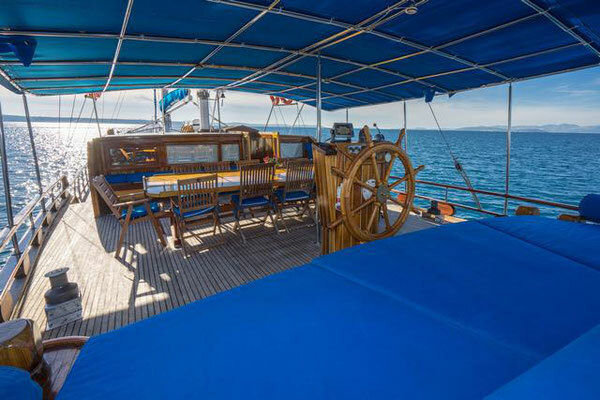 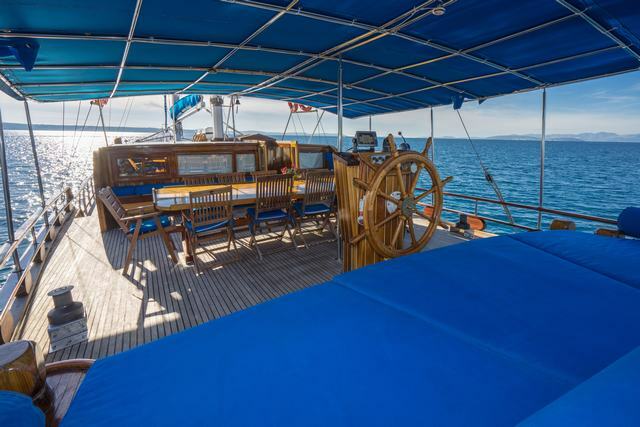 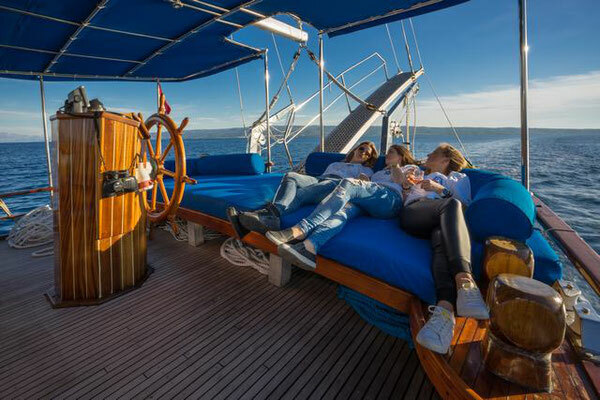 The spacious covered rear deck has a table, chairs and a leisure sofa on the very edge of the deck. On the front deck you will be able to sunbathe on mattresses. 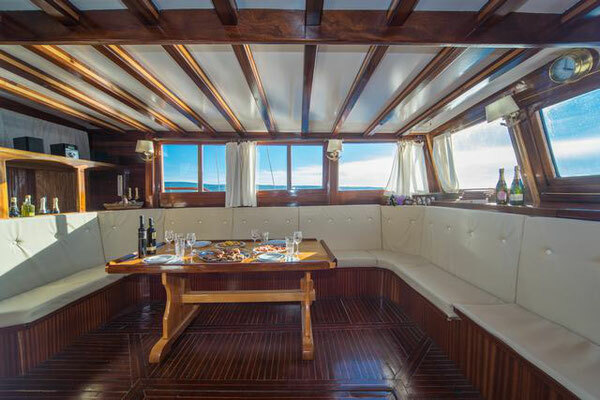 The salon boasts a dining table and comfortable sofa around it. 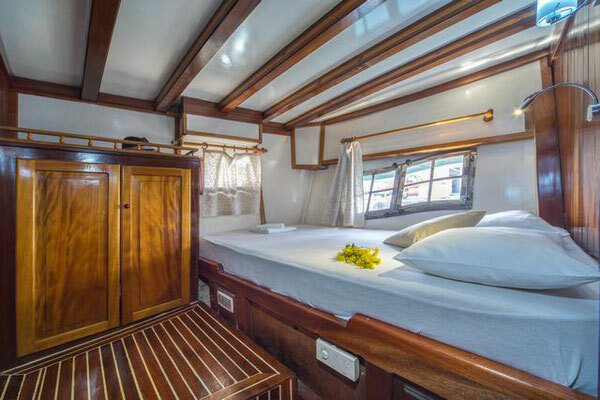 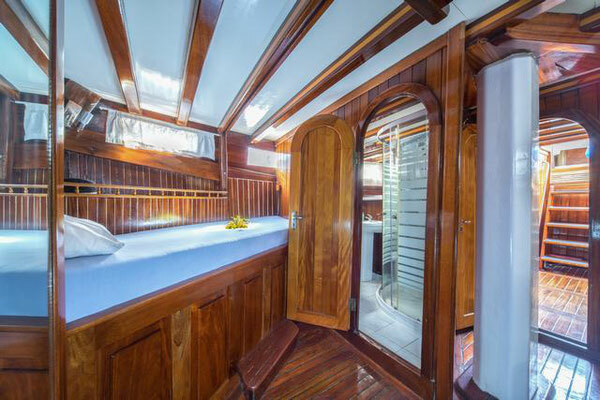 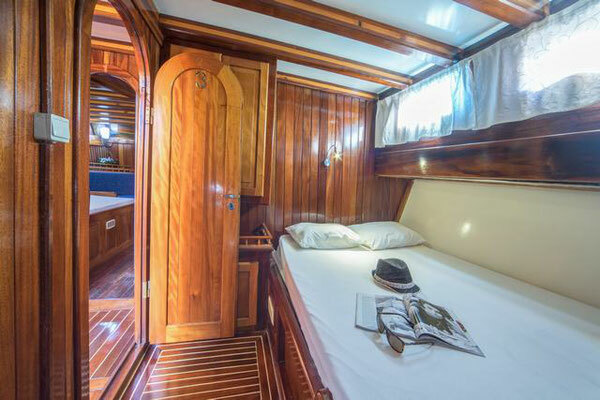 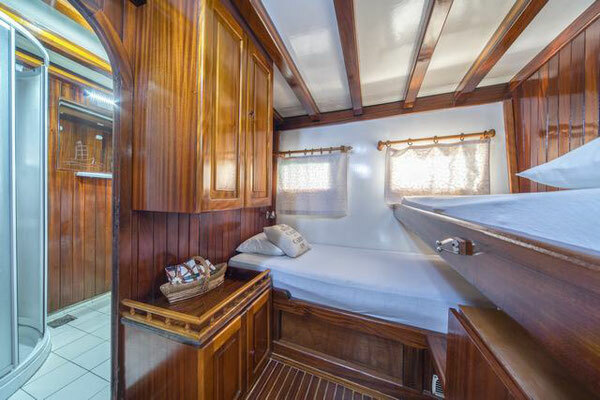 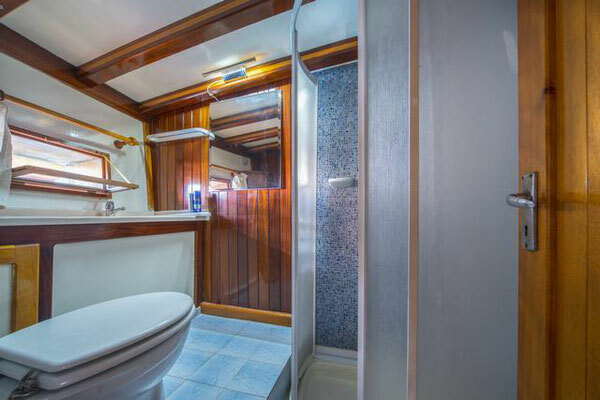 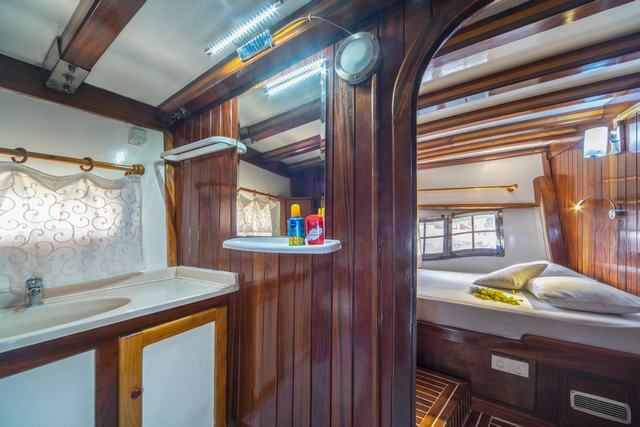 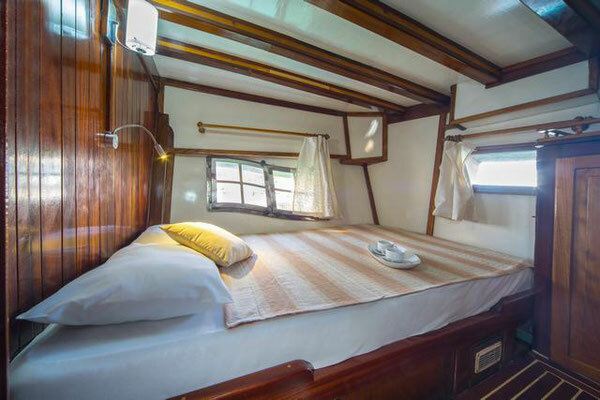 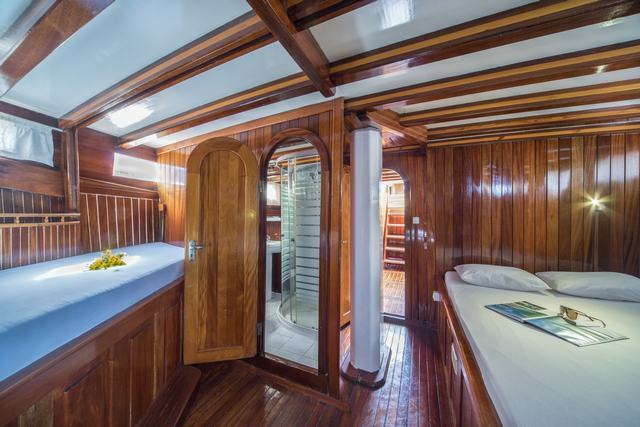 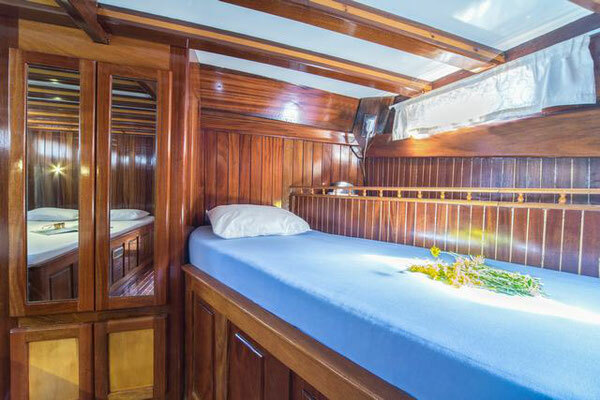 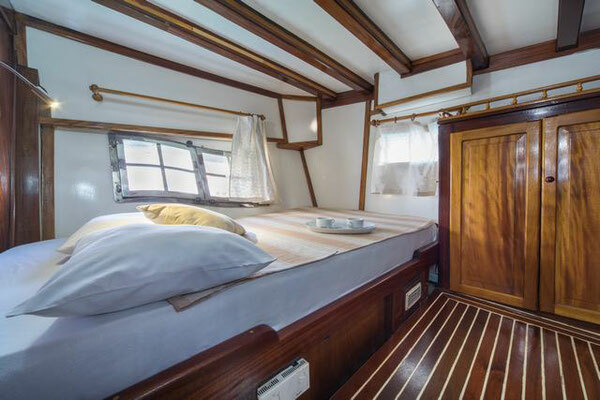 7 air-conditioned cabins with en suite bathrooms can accommodate 15 people: one is master; two cabins are with twin beds and four cabins have double bed. 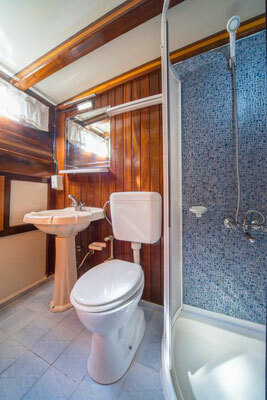 From the entertainment there is Wi-Fi, kayak, snorkeling equipment and dinghy with an outboard engine. Welcome and enjoy!